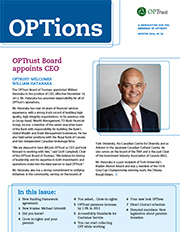 The OPTrust Board of Trustees appointed William Hatanaka to the position of CEO, effective November 19, 2012. Mr. Hatanaka has assumed responsibility for all of OPTrust’s operations. The OPSEU Pension Plan sponsors – OPSEU and the Government of Ontario – have negotiated an agreement that establishes a funding framework for the next five years while maintaining stability, sustainability and autonomy for the Plan. This agreement freezes contribution rate increases for active members and employers for the next five years, except in exceptional circumstances. In the event of a funding shortfall during this time, the Plan would be required to reduce future benefits. All benefits being paid to current retirees and those that have been already earned by active members are, and will remain, unchanged. In return, the government has agreed that the OPSEU Pension Plan will be exempt from the proposals to pool broader public service pension plans. The agreement also allows for an extension of the regular funding valuation period so long as at least one valuation is filed during the term of the agreement. The sponsors have agreed to freeze pension plan contribution rates for five years, except in exceptional circumstances. The freeze period runs from December 31, 2012 to December 30, 2017. Any contribution increases currently scheduled to occur for active members will continue as planned. OPTrust does not have any further contribution increases scheduled. Benefit improvements can only be made if the Plan remains 105% funded after the improvement. If benefits are reduced as a result a funding shortfall, they can only be restored if the Plan remains 100% funded after the restoration. The OPSEU Pension Plan has full indexation, capped at 8% annually. However, if there were ever to be ad hoc indexation, it would continue so long as it did not bring the Plan’s funded status to below 100%. There will be no contribution rate increases during the freeze period, except in exceptional circumstances. Future benefits may be reduced to a maximum of 20% of the total value of future benefits determined at the date of the benefit reductions based on the Plan provisions in effect on December 31, 2012. No accrued benefits will be reduced. Once the benefit reduction limit has been reached, the sponsors will return to their usual methods (e.g. contribution rate increase and/or benefit reductions). What happens at the end of the freeze period? At the end of the freeze period, the “Letter of Agreement” expires. In the event of a surplus, it may only be used to restore benefits that were reduced during the term of the agreement, provided that the restoration will not reduce the Plan’s funded status below 100%. OPTrust will cooperate with the “Letter of Agreement” as stated. 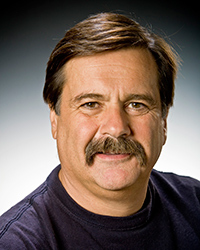 OPSEU appointed Michael Grimaldi to the OPTrust Board of Trustees in September 2012. Grimaldi brings 30 years’ experience working in the Ontario Public Service (OPS) and at OPSEU. He started his career as a staff member in the constituency office of a member of the provincial parliament. In 1991, he joined the Ministry of Labour as a Work Advisor representing injured employees who do not have a union, which is also his current position. During a six year leave of absence from the OPS from 2001 - 2007, Grimaldi served as an Executive Assistant to OPSEU’s former president Leah Casselman. In that role, he built solid relationships working with all public sector pension plans in Ontario, which led him to serve on OPSEU’s Pension Liaison Committee. He is politically active and a strong advocate for defined benefit and jointly sponsored pension plans. In fall 2012, Grimaldi was involved in negotiating the agreement between OPSEU and the Government of Ontario that established a five-year funding framework for the Plan and exempted OPTrust from the province’s proposed asset pooling for broader public sector pension plans. He was elected to OPSEU’s Executive Board in 2003 and is the Regional Vice-President for Region 2, OPSEU’s second largest region representing 26,000 members. Grimaldi holds a Bachelor of Arts degree from the University of Western Ontario. 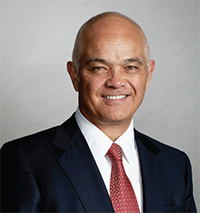 In November 2012, Scott Campbell was named Chair of OPTrust’s Board of Trustees. Campbell is an experienced not-for-profit governor. He was appointed to the Board by the Government of Ontario in April 2009. He is a member of the TELUS Toronto Community Board, the Cancer Care Ontario Board and he is a past Chair of the Board of Directors of Trillium Health Centre. By the end of the year you reach the age of 71, the Income Tax Act requires that you stop making contributions to a registered pension plan. So, your membership in and contributions to the Plan must end at this time and pension payments must begin. While most OPTrust members will still choose to retire at or before age 65, delaying retirement may be attractive to some who want to continue increasing their future pensions. If you continue working past age 65, you must start to receive your pension before the end of the calendar year in which you turn 71. As a result, you must terminate your plan membership by November 30th of that year. have been involuntarily terminated without cause on or after July 1, 2012. 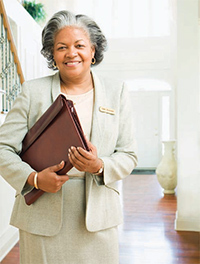 With this benefit terminating OPTrust members/divested former members may be able to “grow-in” to and start an unreduced early retirement pension on the date the former member would have been eligible for the earlier of Factor 90 or 60/20 had his or her employment continued to that date. The member’s entitlement is based only on the credit earned to the date of termination. Members who are involuntarily terminated on or after July 1, 2012, are entitled to grow-in rights if they meet specific criteria. have 55 points (age + credit, membership or continuous service) on the date of termination. The employer must inform OPTrust and complete a Grow-In Rights – Employer Certification (OPTrust 3013) form. All pension entitlements with a termination date before July 1, 2012 are not eligible for grow-in rights. Question: How do I become eligible for grow-in rights? on your termination date, you are not eligible for an early unreduced pension under the Factor 90 or 60/20 provision of the Plan; however, you would become eligible before your 65th birthday if your employment had continued. Question: How do the grow-in rights work? defer your pension and have it start the month following your 65th birthday. Question: What if I choose to transfer the funds out of the Plan? Answer: If you are under age 55 and choose to transfer out the commuted value (CV), your eligibility for grow-in rights will be taken into account in the calculation of your CV. You will lose any entitlement to the post-retirement insured benefits package. Question: What does it mean to have grow-in rights considered for the calculation of the CV? Answer: This means the value of the additional benefit is included in your commuted value calculation. Question: What happens if I die during the deferment period? Answer: If you die during the deferment period, your eligibility for grow-in rights will be taken into account in the calculation of the death benefits. OPTrust pensions for deferred, divested and retired members increased by 1.9%, effective January 1, 2013. The adjustment is the result of the OPSEU Pension Plan’s inflation protection provision and reflects the rise in the cost of living in Canada. The full 1.9% increase applies to all OPTrust pensioners who retired in 2011 or earlier. For retirees whose pension started after January 2012, the increase will be pro-rated based on the month the pension started. The annual increase also applies to OPTrust survivor pensions and to the deferred pensions of former and divested OPTrust members. Under OPTrust’s inflation protection feature, retirees’ pensions are adjusted every January, based on changes in Canada’s Consumer Price Index (CPI). The result is protection for the buying power of retirees’ pensions – and security for the future. For example, a pensioner who retired in December 2002 with an annual pension of $23,110 will receive $28,274 from OPTrust in 2013 – a 22% increase over a 10-year period. Since the Plan’s inception, inflation adjustments have averaged 1.9%. The Consumer Price Index (CPI), produced by Statistics Canada, is a measure of price movements. The CPI is calculated by comparing the retail prices of a representative “shopping basket” of goods and services at two different points in time. This “shopping basket” includes a range of goods and services including food, fuel, transportation, home energy and shelter. For more information on the Consumer Price Index, visit the Statistics Canada website at www.statcan.gc.ca. At OPTrust we strive to provide our services in a way that respects the dignity and independence of people with disabilities. We are committed to giving all persons, including those with disabilities, access to services with the same quality and timeliness. 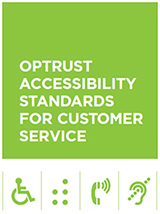 Our Accessible Customer Service Policy outlines how OPTrust provides services that are accessible to all persons and it’s in compliance with provincial legislation. For more information, download the policy. The federal government changed the rules for contributing to CPP in 2012 to better reflect how Canadians choose to live, work, and retire. If you are under age 65 and you work while receiving your CPP retirement pension, you and your employer will have to make CPP contributions. These contributions will increase your CPP retirement benefits. If you are age 65 to 70 and you work while receiving your CPP retirement pension, you can choose to make CPP contributions. These contributions will increase your CPP retirement benefits. The federal government is adapting CPP to ensure it remains fair and sustainable, and that it responds to the evolving needs of Canada’s aging population and to changes in the economy and labour market. you will be able to start your CPP retirement pension without any work interruption. The changes will give you more options so that you can make decisions that are right for you as you make the transition from work to retirement. The changes do not affect your OPTrust pension. For more information about these changes, visit Service Canada’s website at www.servicecanada.gc.ca. By now, you’ll have noticed OPTions is sporting a new look. In December 2012, we shared two designs for OPTions and asked you to vote for your favourite in an online poll. Members and pensioners voted for this design, which features bolder colours, but maintains the professional standards you’ve come to expect from OPTrust. We hope you like the new OPTions. Want to know more about the OPSEU Pension Plan? OPTrust Direct Contact sessions are a great way to learn more about your pension – directly from an OPTrust representative. Non-members who are eligible to join the Plan (e.g., fixed term or casual employees) are also welcome to come and learn more about enrolling in the Plan. Our evening seminars are tailored for members who are within 10 years of retirement, but all members are welcome to attend. OPTrust staff also offer shorter lunchtime seminars in workplaces across Ontario for members at any stage in their careers. Special sessions for fixed term/casual staff who may be interested in joining are also an option. To book a lunchtime seminar for your workplace, you or your human resources representative can contact us at infosessions@optrust.com. See the schedule for a session in your area and sign up or call us at 416-681-6100 or 1-800-637-0024. Important: Space is limited. Please register at least two weeks in advance. Direct Contact sessions are designed to give you an overview of the OPSEU Pension Plan. OPTrust staff cannot provide personal financial advice. As a divested member you may soon have the option to transfer and consolidate your OPTrust pension benefit in your current pension plan. Although changes to the Pension Benefits Act took effect on July 1, 2012, pension plan administrators are still waiting for the regulations to be passed into law. Once we have the regulations, the plan sponsors need to negotiate transfer agreements. If a transfer agreement is negotiated between the OPSEU Pension Plan and your current plan, we will notify you immediately about the agreement and next steps. If you want to make changes to your beneficiary information, complete and send us a Pension Beneficiaries form available from our website. If a transfer agreement is negotiated between your pension plans, this two minute video highlights important things to consider when deciding whether to transfer or not and provides an overview of what a divested transfer could mean for you. Watch the video. So, watch for more correspondence from your pension plans. We will contact you when we have more information.